WASHINGTON — Maryland Gov. Larry Hogan issued an executive order Wednesday requiring public schools in the state to delay their start dates next year until after Labor Day. Hogan made the announcement in Ocean City along with Maryland State Comptroller Peter Franchot, who has long pushed for the calendar change. The order, which goes into effect next year, will also require schools to end their school year by June 15, but it won’t change the overall number of instructional days, the Republican governor said. Hogan and Franchot said the change gives families more time to enjoy summer vacations in August and would provide an economic boost to the tourism industry and small businesses in the state. Hogan signed the order in Ocean City, which is located in Worcester County — the only Maryland county where school starts after Labor Day. The order “will help protect the traditional end of summer, not only for families on vacation this week, but also for the teachers and the students working here in Ocean City and all across the state for the summer,” Hogan said. Hogan said the post-Labor Day start would help schools save on energy costs — August is the second hottest month, on average, in Maryland. Also, the later start would reduce disruptions in the early part of the schools year when schools without air conditioning are forced to close on extremely hot days. Baltimore County has 37 schools without air conditioning, Hogan said. If schools want to start before Labor Day, they’ll have to provide a “compelling justification” and apply for a waiver from the State Board of Education, Hogan said. The order was expected to be contested by some Maryland school districts and legislators. Traditionally, school boards in the state’s 23 counties and Baltimore have controlled their own calendars. Members of the Montgomery County Public Schools Board of Education “strongly oppose any attempt to usurp local decision making around school calendars,” said Michael Durso, school board president, in an statement. “Prohibiting schools from starting before Labor Day ignores critical issues faced by schools and the potential negative instructional impact on students,” Durso said. Supporters of a post-Labor Day start date — including former Ocean City Mayor Jim Mathias — say having school systems start classes after Labor Day will add millions of dollars to the state’s economy. Mathias, who is currently a Democratic state senator, has pushed for legislation for a post-Labor Day start date. 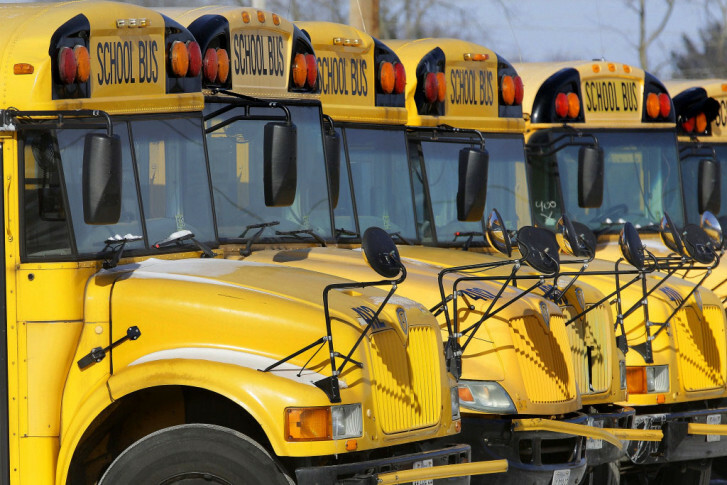 A 2013 economic impact study by Maryland’s Bureau of Revenue Estimates found that a later school start date could generate as much as $74.3 million in additional direct economic activity. Hogan said the later start date is popular with Marylanders. Two independent polls by Goucher College, conducted in 2014 and 2015, showed more than 70 percent of Maryland residents supported the post-Labor Day date. A nonpartisan task force commissioned by former Democratic Gov. Martin O’Malley and chaired by the state’s department of education studied the issue and reported “no compelling evidence” a later start date would have any impact on education. The task force voted 12-3 to recommend the post-Labor Day start.